SEAMAN JOBS INFO - EPSILON hiring crew officers, engineers, ratings for bulk carrier ship and oil tanker ship joining A.S.A.P. 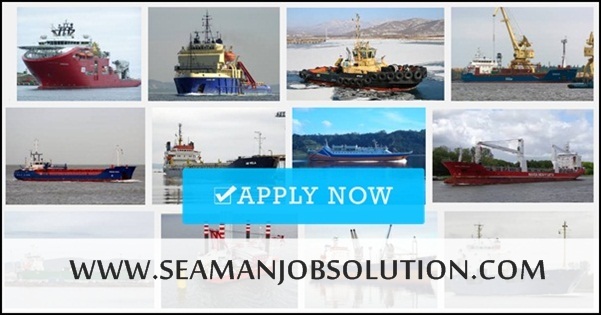 All vessels are worldwide trading and competitive package awaits accepted candidates. 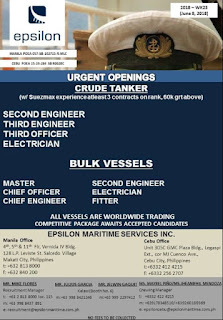 0 Response to "Fitter, Electrician, 2/E, 3E, 3/O, 2/O, C/O, C/E, Master For Bulk & Produck Tanker Ships"